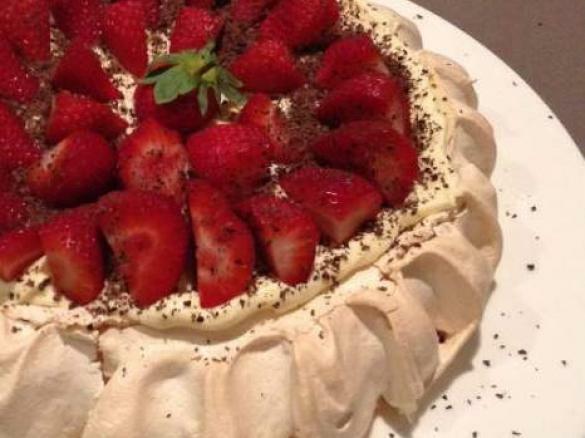 Thermomix Christmas Pavlova by Belinda. A Thermomix <sup>®</sup> recipe in the category Baking - sweet on www.recipecommunity.com.au, the Thermomix <sup>®</sup> Community. Pre heat oven to 150°C. 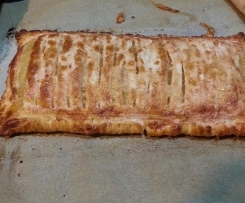 Line baking tray with baking paper. 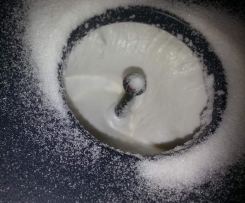 Mix cornflour and granulated sugar together in small bowl and set aside. Ensure TM bowl completely clean and dry. Do self clean with hot water and vinegar if necessary and dry thoroughly. Insert butterfly into TM bowl and leave MC off. Place egg whites into bowl and whisk for 3 - 5 minutes at 50 ° C at Speed 3until egg whites stiff. Using same method, add cornflour and sugar mixture to incorporate. Pavlova is usually served with softly whipped cream and fresh fruit. 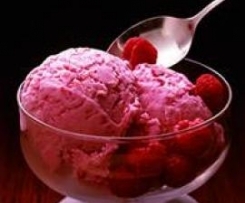 (For a lower fat dessert, instead of whipped cream, try serving the Pavlova with a sorbet or fruit sauce and fresh fruit. Place whipped cream and fruit on the meringue shortly before serving as the meringue will immediately start to soften and break down from the moisture of the cream and fruit. Stephanie Alexander in her excellent book "The Cook's Companion" gives us a few pointers on how to tell a good Pavlova, "if syrupy droplets form on the surface of the meringue, you'll know you have overcooked it; liquid oozing from the meringue is a sign of undercooking". So it is best to cook the meringue in a slow oven and then to turn off the oven and let it cool slowly. 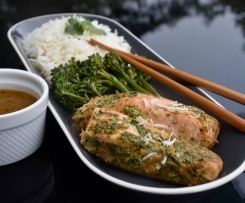 Our Favorite Salmon All-in-one meal! Submitted by pallap on 24. December 2017 - 15:16. This is my second attempt. My first attempt oven was way too hot. I did again and added a few eggs and piled high. I am again turning oven down. Looks great. Pav luckily is a forgiving delicious. MrsJ: Yes I wondered that too? Submitted by pallap on 24. December 2017 - 15:13. Submitted by SupaNannah on 2. January 2017 - 15:00. 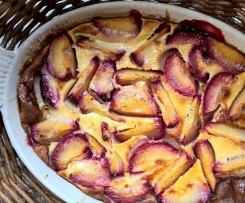 Have just made this recipe...so far so good! It's still in the oven. Did the vinegar wash of my TM31 just to make sure there was no residual grease. I used 5 large eggs, vanilla bean paste and lemon juice, otherwise followed the recipe....and yes Butterfly is essential. Never have had much luck with pavs before, and was fascinated to read this recipe which instructed '50 degrees...' sort of compares with 'warm the bowl' I remember my mother saying. But I digress, it's nearly done. YUM! There goes the waist line!!! Submitted by Brett_1978@hotmail.com on 30. December 2016 - 14:50. Great recipe. Added ingredients more slowly and used common sense about consistency of mixture. Used brown sugar and white vinegar as alternate ingredients and whipped for a little longer. Lower temps for my oven - again you just use common sense. Yum-rama! Thank you! Submitted by bojo on 16. December 2016 - 15:28. I don't know what I did wrong but when finished I had a milkshake instead of fluffy merangue. HELP????? Submitted by Debbiemaree on 15. March 2016 - 16:59. Submitted by Nbourke17 on 31. December 2015 - 14:59. Submitted by debbie@dynamicrisk.com.au on 28. December 2015 - 10:00. I'm so excited at how well this turned out. Like others, I was nervous but couldn't be happier at the end result. I used Apple cider vinegar, 5 700g egg whites, followed the fan forced oven advice and also the comment about dusting the caster sugar into the bowl. beautifully crunchy outside and just gooey enough inside. Next time I won't pile the mixture so high so the fruit decorations don't roll off. Submitted by Michelle1908 on 26. December 2015 - 13:25. Thank you so much for this recipe! It is perfect! I used caster sugar rather than granulated. Submitted by Leish-88 on 24. December 2014 - 19:14. Submitted by Belinda on 24. December 2014 - 19:12. No Leish- the butterfly is essential for the aeration. Submitted by Leish-88 on 24. December 2014 - 18:54. Would this work without the butterfly whisk?? Submitted by Belinda on 24. December 2014 - 12:31.
i have an electric oven , however just use your intuition about your oven- so long as it is not too hot. Submitted by MrsJ on 23. December 2014 - 11:58. What do you use for the granulated sugar? Submitted by McCubbinMama on 21. December 2014 - 10:57. This time it was very flat...any tips on why? Submitted by tashandpete on 17. August 2014 - 17:08. Nice and easy, and worked a treat. I redued the cooking time as I made mine into mini pavlovas. Submitted by McCubbinMama on 2. February 2014 - 17:13. Just made this for the second time...again so easy!!! Put grated chocolate and strawberries on top this time....everyone loved it. Thanks again for the recipe. My first attempt at pavlova. Submitted by paperazzi on 26. January 2014 - 19:13. Submitted by McCubbinMama on 24. January 2014 - 21:12. I am a new TM owner and have never made desserts! My daughter recently fell in love with pavlova and I promised to find a recipe and make it for her. WOW! When it came out of the TM it looked so lovely and silky and perfect! It didn't look too crash hot when it came out of the oven however but only as I think I put it on the tray too spread out and it cracked - however after the cream (whipped in TM - too easy) and fruit it looked the part and the plate was empty! (Outdid the baked cheesecake I also made in the TM!). It was really lovely and scrummy in the middle and crunchy on the outside - thanks for the recipe you have converted me into a dessert maker!!! Submitted by VeggieNessie on 13. January 2014 - 20:38. Easy to follow. I had to mix it about 6 minutes longer than the recipe asked for, but I suspect that was my eggs. Submitted by Vickilev on 10. January 2014 - 13:43. Phew! I am delighted with this recipe. 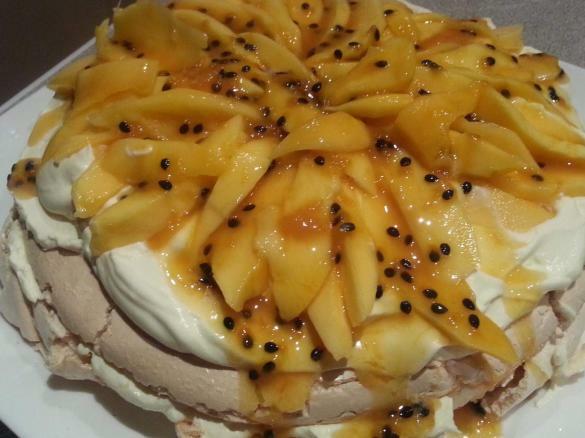 My previous pavlova was disappointing and I had developed a bit of a phobia about the butterfly. I used 6 egg whites and beat for about 6 minutes before adding the sugar. It is piled high in the oven. Thank you it will be my go to recipe for pav. Submitted by AndreaH on 29. December 2013 - 22:14. I've only ever attempted pavlova once before and it was a total failure so I was nervous about using this recipe, but it turned out amazing. The outside was nice and crispy and the inside was gooey and mashmallowy. I used 5 extra large eggs and only baked at 150 for 11 mins cause I have a fan forced oven. Will definitely use this recipe again. Submitted by thegirlwho on 27. December 2013 - 14:06. 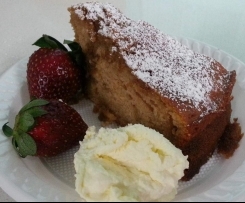 Prior to the Thermomix, I regularly baked Pavlovas so was very nervous using this slightly different recipe and doing it in the Thermomix, but I must say it turned out really well. It looked and tasted great. I would say go easier than adding one tablespoon of sugar at a time to the egg whites, dust it in oh so even more gradually as that is the big secret to a really good pav. Fan forced ovens take 10 degrees off the temperature as well. I did this as our oven is fan forced and quite strong in heat and it worked out really well. Great recipe, thank you. By the way, I only used 4 eggs (extra large size ones, though). Submitted by miasmum2000 on 26. December 2013 - 22:21. Love this recipe. Worked perfectly. Made two for Christmas and they were a total success. Definitely a recipe to bookmark and recommend. Thanks for sharing. Submitted by Pontifek on 22. December 2013 - 20:40. Wish I'd turned the temp down! Have a fan forced, burnt two of these pavs! Better recipe than the EDC though. Submitted by BecMac on 17. November 2013 - 20:16. Submitted by Belinda on 7. November 2013 - 20:23. Wow - Congratulations Eva- sounds beautiful! Submitted by foody4eva on 7. November 2013 - 20:19. 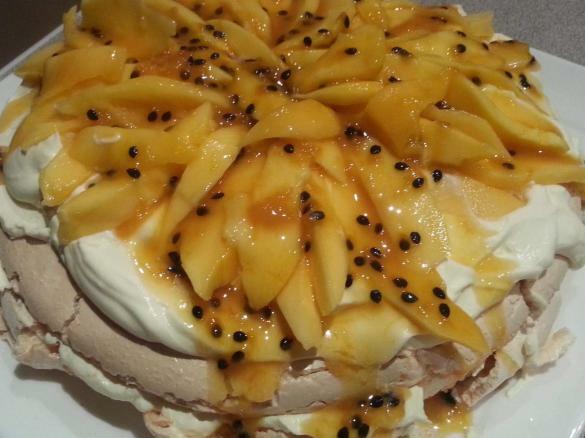 WOW, this recipe made the most amazing pavlova ever! I used 4 extra large egg whites (ALDI free range eggs), used lemon juice and also reduced the oven to 100 degrees as it was starting to brown a little (I have an old gas oven). I let in cool in the oven with the door slightly ajar as suggested. I baked it in a rectangle shape, topped with lemon butter from EDC, then whipped cream, fresh raspberries and blueberries and a dessert passionfruit sauce as I was unable to buy fresh passionfruit. I made it for a Melbourne Cup lunch and the entire pav was devoured, will definitely be making this as a standard dessert in the future. Submitted by spunkytrunks15 on 17. September 2013 - 14:38. Just made this and mine was the best Pav I've ever made! Only change I made was 150 oven for 12 minutes and 120 for 30... Gotta say though it was perfecto, and really high! Submitted by Carol Millington on 4. September 2013 - 14:21. 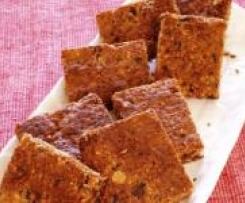 This absolutely fantastic - so easy and I had no problems at all with recipe - did use vinegar instead of lemon juice. Thanks Belinda for recipe. Submitted by MeniqueLever on 8. May 2013 - 17:26. Submitted by Sunday Mason on 7. February 2013 - 21:33. I have made this pav a number of times and turns out perfectly. The only thing I changed was the lemon juice for white vinegar. I make a three rectangle pavs and layer them with cream and fresh raspberries and kiwifruit with toasted almonds on top. 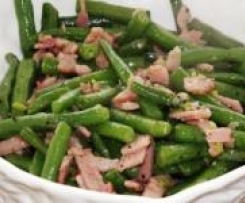 Sensational receipe - thankyou for sharing. Submitted by Jenny Jens on 27. January 2013 - 19:20. I made this and is was superb. The only thing I did a bit differently was to beat for a little longer after adding the sugar at speed 4 to ensure the meringue held its shape when shaping on the tray. Have saved this recipe for future use! Thanks! Submitted by Belinda on 25. December 2012 - 00:47.
pavlova is always one to polarise cooks. tips- not too fresh on the egg whites(frozen then defrosted great). No moisture, no oily residue. However we can always have an off day. Submitted by KatieJamesOmar on 24. December 2012 - 22:10. HI I treid this xmas eve, and i too had a runny bowl of egge white - and im usually pretty good at pavalova. what went wrong? Submitted by KatieJamesOmar on 24. December 2012 - 22:08. Submitted by Nikki Perth on 24. December 2012 - 17:06. Great recipe. I was extra vigilant about having a clean bowl and did the vinegar and water wash beforehand. I changed the lemon juice to vinegar as that is how my sister makes hers. 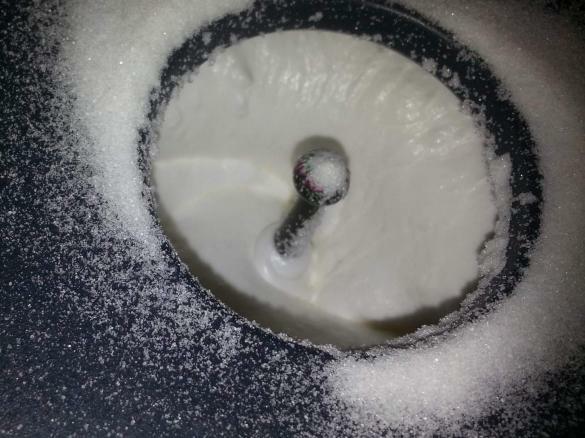 I also used raw sugar but processed it at speed 9 for 6 seconds before washing the bowl. I found after making the pavlova the first time I needed a cooler oven so preheated the oven at 150 but turned it down to 120 when I put the pav in and cooked it for an hour. Turned the oven off and left it in there. This worked much better and my pav wasn't too brown when doing it this way. (My oven always cooks too hot and too fast following recipes anyway). Submitted by Dare To Be on 24. December 2012 - 11:40. What a disaster, I was totally confused regarding the instructions, now I have a bowl of warm runny egg white??? Submitted by Melanie Sharp on 23. December 2012 - 12:13. Submitted by vintageorganic on 20. December 2012 - 19:19. Submitted by Belinda on 20. December 2012 - 12:11.
pavlova is a challenge with any appliance- yes take your time. 5 miutes was an indication not the add all at once. put on the lid and allow to shake through. Submitted by vintageorganic on 20. December 2012 - 10:56. I have just made this today as a practice for Xmas day and thank goodness I did as my mixture was really runny too?! ts has turned out tiny and flat. I thought there was a quite a lot of variance between 4 and 6 egg whites. I used 5 med size ones. And the other thing I noted was 3-5 mins to add the castor suagr is quite a short time, particularly wen you have to slowly add it. I felt like I had to hurry before the time ended. 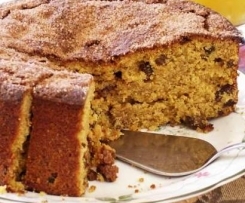 I was following the recipe to a T.
Any pointers for me would be much appreciated, Id love to make the perfect pav for Xmas day. Submitted by hevstar on 16. December 2012 - 14:14. Is the oven temperature listed for an electric or gas oven? Submitted by timandjacqui on 15. December 2012 - 16:07. Hi, I used this recipe today for an early Christmas lunch. It turned out a bit flat so I am going to make another one and stack them! That should do the trick. Submitted by MeriMyers on 9. December 2012 - 01:21. Submitted by Belinda on 8. December 2012 - 17:42. Submitted by MeriMyers on 8. December 2012 - 14:58. Ok, I've done something wrong... It's too funny to form into shape... Stiff peaks achieved at stage 1, but once I'd added sugar etc its really runny... What did I do wrong? Submitted by AndiB on 1. August 2012 - 21:38. Learner hoping to get my P's soon!